JBL has introduced a new successor to its highly popular Flip portable Bluetooth speaker that brings with it feature and sound enhancements in an otherwise unchanged, familiar cylindrical shape; albeit with a subtle updated metal grille design. 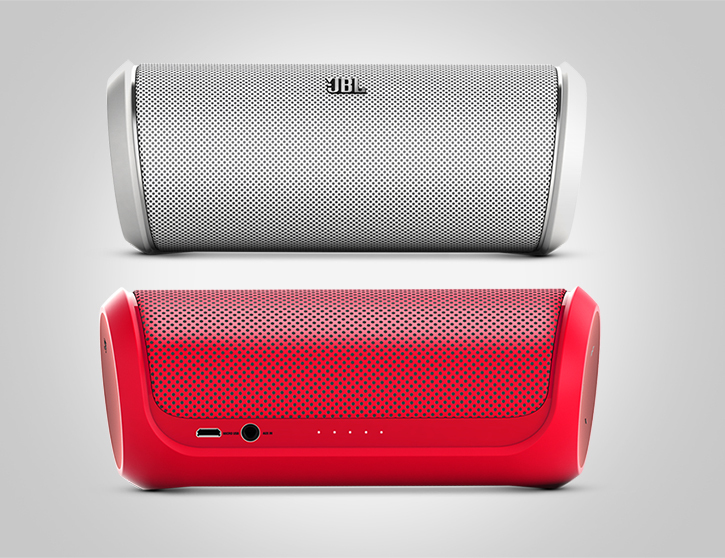 The award-winning Flip 2 portable wireless speaker by JBL brings rich sound into your portable lifestyle. The Flip 2 uses dual 40mm drivers and a built-in bass port in a speaker that fits in your hand. Plus it has a built in microphones and SoundClear echo and noise cancellation technologies so you can use Flip 2 as a hands free speakerphone and never miss a word. The key notable differences over its predecessor is that now the Flip 2 uses a more traditional and convenientcharging method using a micro-USB port which will let users charge their Flip 2 speaker from any USB power. There's also a new white LED battery status gauge at the back, NFC support for quick tap-to-pair functionality, as well as a redesigned on-board button control cluster similar to JBL's Pulse speaker. The Flip 2 has the same 5-hour battery life as the original Flip speaker, yet it's slightly more powerful. 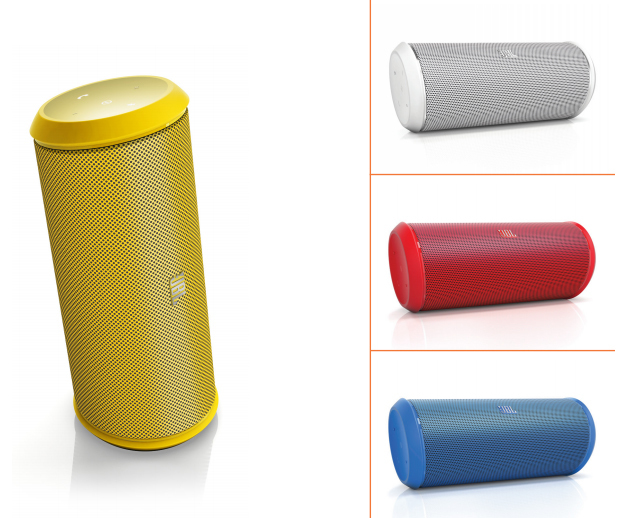 JBL's Flip 2 is now out and available for $130 in black, white, red, yellow and blue colors.